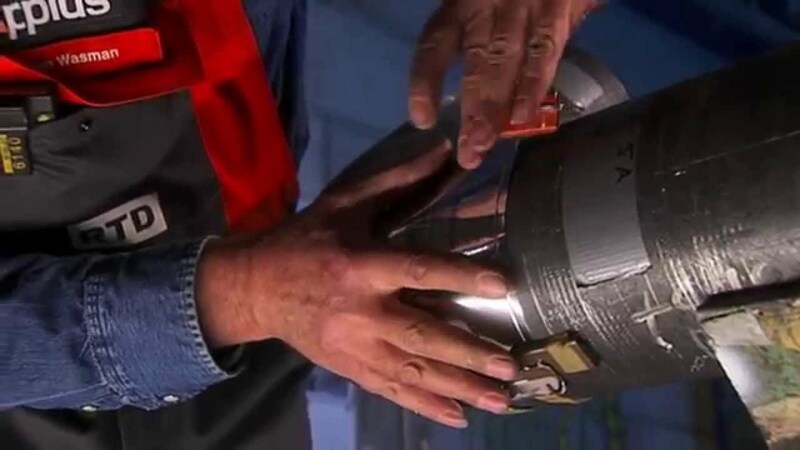 Industrial radiography is a method of non-destructive testing where many types of manufactured components can be examined to verify the internal structure and integrity of the specimen. 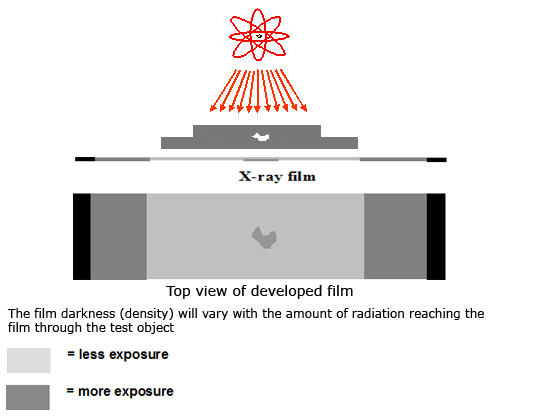 Industrial Radiography can be performed utilizing either X-rays or gamma rays. Both are forms of electromagnetic radiation. The difference between various forms of electromagnetic energy is related to the wavelength. X and gamma rays have the shortest wavelength and this property leads to the ability to penetrate, travel through, and exit various materials such as carbon steel and other metals. There are two different radioactive sources available for industrial use; X-ray and Gamma-ray. These radiation sources use higher energy level, i.e. shorter wavelength, versions of the electromagnetic waves. Because of the radioactivity involved in radiography testing, it is of paramount importance to ensure that the Local Rules is strictly adhered during operation. Radiographic Testing at UIC, Jubail, KSA. 2. Experienced RT inspector for carry out difficult configuration of welds. 5. RT inspectors qualified and certified to Level II as per ASNT recommended practice SNT-TC-1A is approved & also BINDT (British institute of nondestructive testing) approved Level-II according to ISO 9712:2012 for carry out inspection.